Big O: Hindsight being 20/20, do you think the Jaguars should have gone harder at Minnesota Vikings quarterback Kirk Cousins when he was a free agent this past offseason? Not that it would fix this year, but for long-term now that it appears the team needs to rebuild the position – and the draft and free-agent classes are decidedly weak. This is tricky. While there’s little question that Cousins is a better option at quarterback than Blake Bortles, there is a legitimate question whether Cousins would have been worth what it would have taken to sign him – and as you said, it’s hardly a guarantee that Cousins would have made a major difference for the Jaguars this season considering the injuries sustained on offense. In that respect, I would probably say that the Jaguars should not have gone harder after Cousins because going harder would have meant outbidding the Vikings – which would have meant paying far more than made sense. Remember: The Jaguars signed Bortles this past offseason for far less than it would have taken to sign Cousins. And until the Jaguars’ rash of injuries offensively, that decision looked fine because the offense was playing pretty much as it did last season – which was enough to rank sixth in the NFL in yardage and to get the Jaguars to the AFC Championship Game. So, yes: The Jaguars do now have a tricky path to find their franchise quarterback, but finding that guy us always tricky – tricky enough that the Jaguars haven’t yet done it. Zone, I take it all back: Bring back the two-tone helmets. At least this team was successful in those. 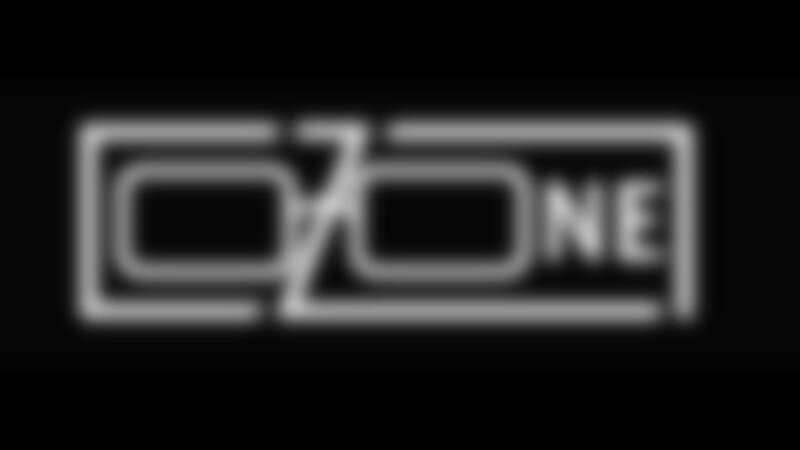 Zone: It seemed there was a time when the NFL tried to take the subjectivity out of rules and officiating … making it as black and white as possible. However: it seems nowadays there are more “judgement calls” than ever. Sometimes, that’s a helmet-to-helmet penalty, sometimes not. Sometimes, it a roughing the passer, other times it’s not. There is too much gray area in the current set of rules, which could leave the outcome of a game in the “guess work” of an official. Thoughts? You’re right that the NFL for years veered toward objectivity in officiating if at all possible. That was a major reason they eliminated the so-called force out rule; the idea was that a receiver coming down out of bounds always being an incomplete pass took judgement out of the equation. It was also the reason the catch rule became so convoluted; the league kept striving to make the catch rule clear cut with no room for judgement when the reality was determining if a player has possession always will have potential for a gray area. But yes: The very nature of some of the recent rules changes for safety have made it necessary to go the other direction and bring in subjectivity. That’s going to bring controversy at some point, but controversy happens anyway. Well, back to winning the offseason, which wasn't accurate at all with the exception of one year. The Dallas Cowboys will never win a Super Bowl with the combination of Head Coach Jason Garrett and quarterback Dak Prescott. There is just something missing with Garrett. The Cincinnati Bengals will never win the Super Bowl with the combination of Head Coach Marvin Lewis and quarterback Andy Dalton. Although the Jags came close to making it to the big game, do you see Head Coach Doug Marrone and quarterback Blake Bortles slipping into the same category as the Bengals/Cowboys? You speak confidently about Garrett and Prescott, as well as Dalton and Lewis. Though you’re probably right, it’s certainly not guaranteed that neither duo will never win a Super Bowl together. It’s looking slim for Marrone and Bortles right now. I do believe Marrone will be back as head coach of the Jaguars next season pretty much no matter the record this season. The Jaguars’ future at quarterback is far less certain. Blow the final whistle immediately after the coin toss or we are in for a really painful Sunday. Just a good-natured stab at it. Of Julio Jones, Michael Thomas, DeAndre Hopkins, A.J. Green, Mike Evans, Adam Thielen, Amari Cooper, Odell Beckham, Stefon Diggs, Tyreek Hill, Julian Edelman, Antonio Brown, JuJu Smith-Schuster, the eight “true, elite No. 1s” would be Jones, Thomas, Hopkins, Green, Thielen, Beckham, Brown... who I was split on was Hill and Evans. I don’t know if Hill has reached the tenured consistency Evans has had, but I know he is the more ascending and explosive player at their current point in respective careers. So Hill would be my pick out of the two. If I called it right, any love for your loyal reader and Jaguars fan who has had it rough in fantasy and Jaguars football this season? You’re referencing a recent O-Zone question discussing No. 1 receivers, and you’re list of No. 1s is a pretty good one. The point of my answer wasn’t so much to compile an end-all list of active elite receivers as much to point out yet again that there are fewer such players than many Jaguars fans believe. The problem for the Jaguars isn’t so much that they don’t have a No. 1 receiver as much as that their top two receiving options this season – tight end Austin Seferian-Jenkins and wide receiver Marqise Lee – are on injured reserve along with running back Corey Grant being on injured reserve. Also factor in second-year veteran receiver Keelan Cole not playing nearly as well as anticipated. The result has been a dramatically less diverse – and less productive – offense than might have been the case. You mention the defense not playing with the lead quite a bit. Alright, you mention it a lot. But the loss of Poz hurts a bunch. Barry Church looking his age hurts. It's sort of obvious linebackers and the safety position took a step back this year. I don't think it makes you less of a Jags employee to admit it. I do mention often that the Jaguars’ defense has been hurt by not playing with the lead. I mention this because it’s a factor in how the unit has played this season. As far the struggles of Church and linebackers Telvin Smith and Myles Jack, I have discussed them. I perhaps haven’t done this as adamantly or as often as you would like, but I have done it. I would imagine a season like this is tough to evaluate, especially while it’s still going on. That said, apart from the loss to Dallas, the Jags have been in tight games through the year and they just haven't had enough things go their way. It’s not like before when we routinely were effectively done by half time. Injuries clearly are affecting us. Does that mean Jags try to keep the core together and shore up holes or are we already thinking rebuild again? Remember this: Jaguars front-office officials/personnel people are in a constant mode of evaluation, and the plan for personnel moves in future seasons are constantly being evaluated and reevaluated. While there certainly are ideas in place for what the Jaguars will do moving forward, those projections can change based on performance and injuries. I would expect there to be enough significant, front-line players from this team gone next season that many will consider it a “rebuild.” The team almost certainly will look more different in 2019 compared to 2018 than 2018 did compared to 2017. At the same time, I don’t expect it to be a “complete, down-to-the-foundation” rebuild that took place in 2013/2014. If the Jaguars can beat the Steelers Sunday, it would make a 7-9 record realistically attainable. A seven-win season is still pretty good for the Jaguars, who only average five wins a year since 2010. With Jaguars cornerbacks A.J. Bouye and Jalen Ramsey to cover Steelers wide receivers JuJu Smith-Schuster and Antonio Brown, and safety Tashaun Gibson covering Steelers tight end Vance McDonald like he played against Gronk (Patriots tight end Rob Gronkowski), we just need to find a way to limit Steelers running back James Conner. I like our chances Sunday. Don’t you?